There are few exceptional companies who truly care about the products they make. Audioengine is such a company as they take the time to make a new device the best they can be without rushing it to market or marketing it into something it is not. Their latest creation just reinforces our opinion of Audioengine. The Audioengine D1 is not your typical USB DAC and headphone amplifier. 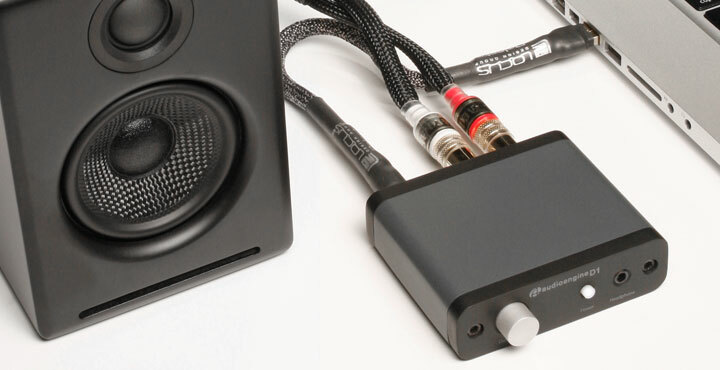 Rather it is a true audiophile’s digital audio converter which makes no compromises. While it is technically a USB DAC with integrated amplifier, it is much more than just that. Instead of just allowing you to bypass your on-board sound card and hear the music over your headphones the way the sound engineers wanted you to, it does so much more. Over USB it supports a maximum of 96kHz rate at an impressive 24 bit resolution while over its integrated optical port it supports 192kHz @ 24 bit resolution. The Audioengine D1 is based on AK4396 DAC with TI NE5532 headphone amplifier. There is even RCA jacks on the back making this a good choice for nearly any audiophile scenario. While the Audioengine D1 – measuring just 3.5″ x 4″ x 1″ – is an great all round’er for those who need a portable device, a price of $169 makes it clear it is for only serious audiophiles. Budget minded consumers need not apply.